Our World Media Magazine is back with our Summer/Fall 2016 issue. Not surprised, we feature in this issue politics about United States Presidential election scheduled for November 8. Highlights from the BET Awards red carpet and the ESPN ESPY Awards in LA. 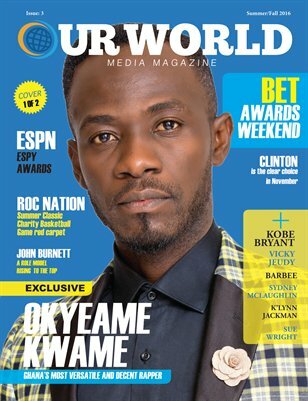 As you can see the cover story in this edition is the Exclusive interview with Artist Okyeama Kwame from Ghana.